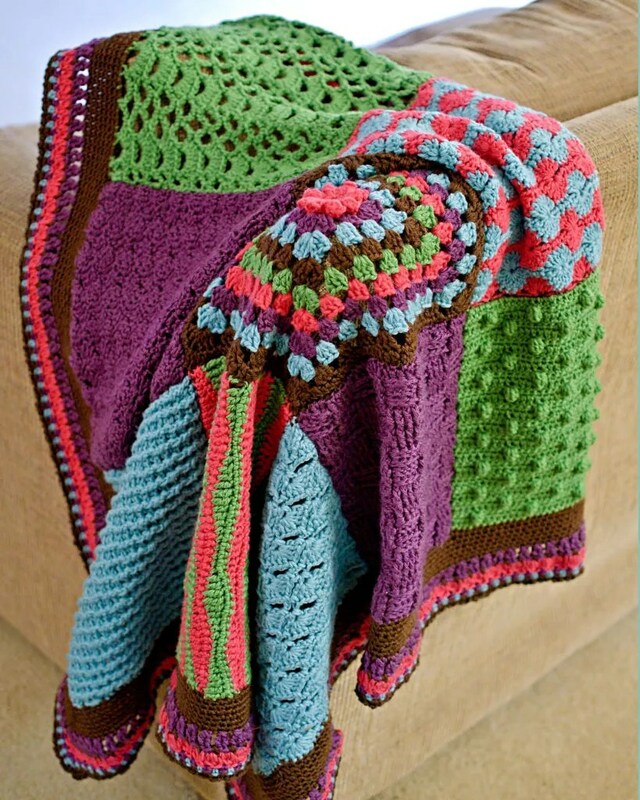 Hook size: Use hook that will obtain correct gauge for YOUR blanket. 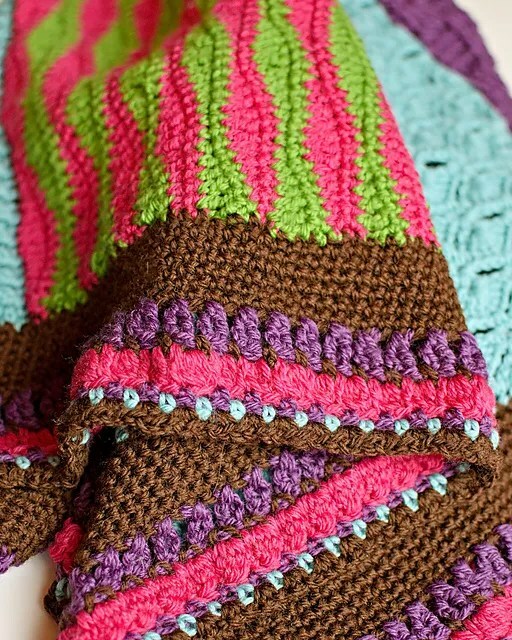 This pattern is more than just a blanket pattern. It includes 9 different stitches and a border with both written and charted instructions. Instructions also have stitch counts for sample class size square and a full blanket square. As a designer, I make a lot of gauge swatches. One day, I noticed that I had several swatches that were roughly the same size and fiber. I figured that I could seam the swatches together and make a quick baby blanket for my daughter. So I did just that and I realized that I could do this on purpose. Given all the different stitch pattern books on the market today the sky is the limit for blanket possibilities. 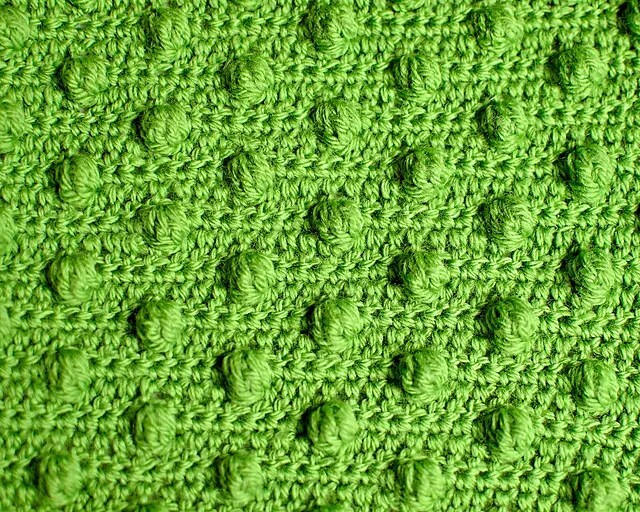 By adjusting hook size and chain amounts to get a certain size it is possible to make any crochet stitch into a block. When you have several blocks that are the same size simply crochet them together and voila you have a crochet stitch sampler blanket. I teach this as a class at a variety of yarn events. 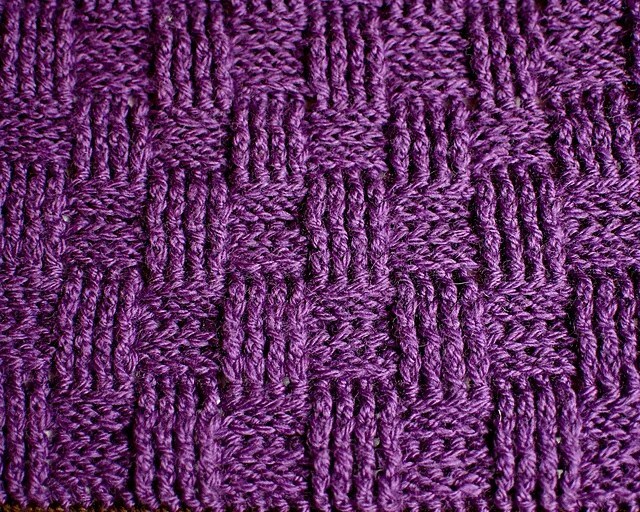 In the class I show you as many of the 9 different stitches used in my sample as we have time. In class we will make miniature blocks so you can get used to the pattern and have the ability to make a full size square at home. 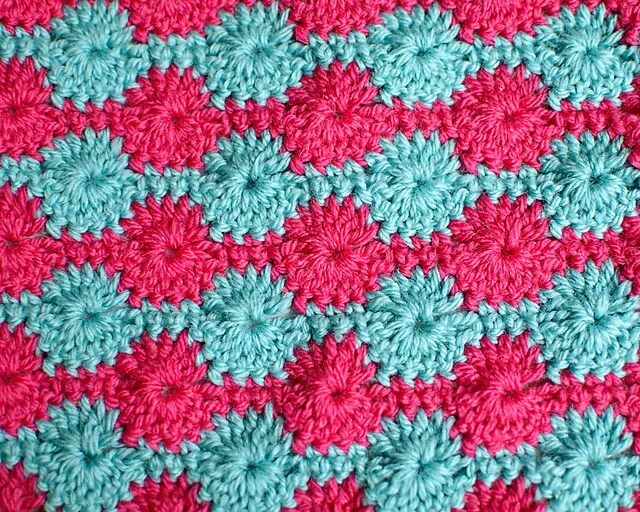 Once all the blocks are crocheted you will seam them together and add a border of your own. Then, voila, you too will have a great baby blanket! Yarn: STITCH NATION by Debbie Stoller™ “Washable Ewe™”: for sample size blanket2 balls each 3903 Strawberry, 3540 Currant, 3501 Robin Egg, 3652 Clover; 3 balls each 3365 Earth.